This card is a shout out to all of my cat people. So adorbs! Created with the Stampin’ Up! 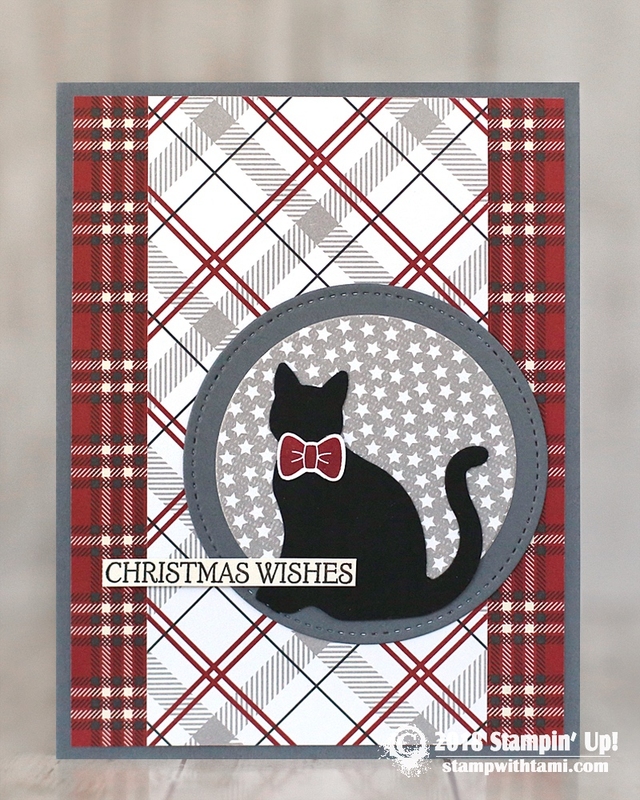 Cat Punch, and the Cookie Cutter Christmas stamp set for the bow. The “Christmas Wishes” words are from the Dashing Deer stamp set. The background is the Festive Farmhouse DSP collection.